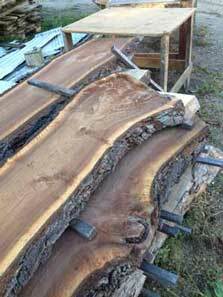 Thick live edge slabs are very popular and for a good reason. Nothing looks more natural and appealing than the soft curves of a natural piece of wood. 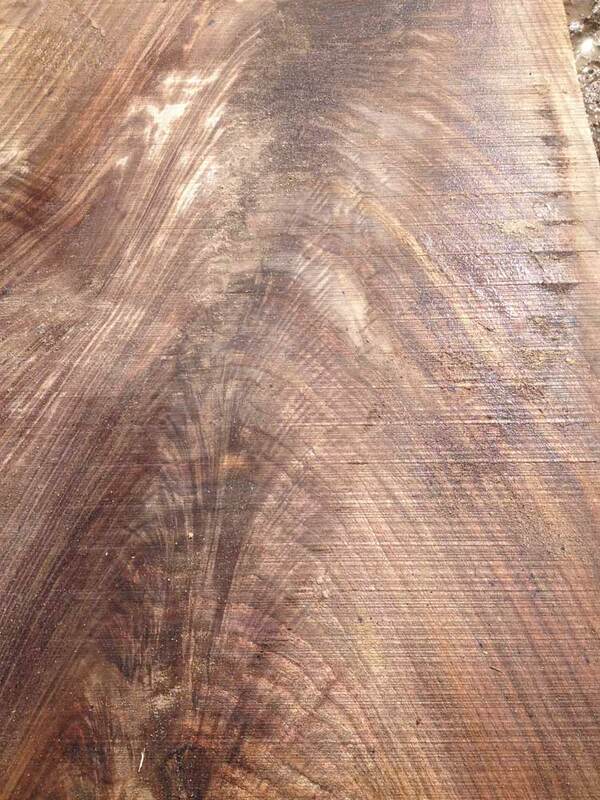 The face exposed in all its glory and the edges/ends untouched by saw or machine allows for outstanding natural looking coffee tables, benches, bar tops, counter tops, or just about anything. Inventory changes rapidly so call or come out to see what we currently have in stock. We try to keep a wide range in sizes and species. 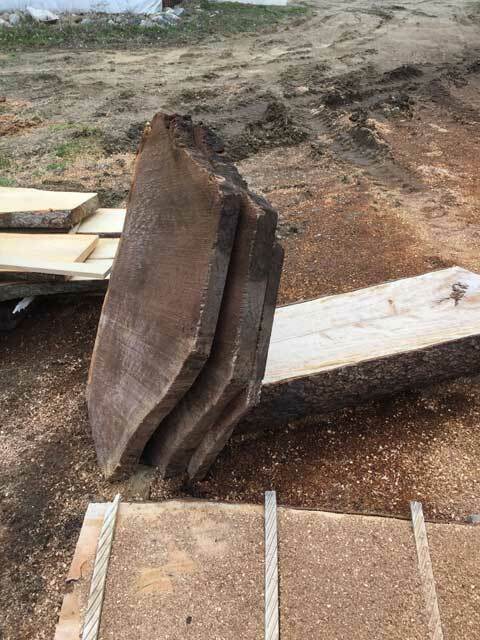 On our new slabbing mill we can cut up to 60" wide slabs so if you are looking for that special piece that needs to be really big come on out and see us. All slabs are air dried for many months then put into one of our two slow drying kilns to take the final moisture out. 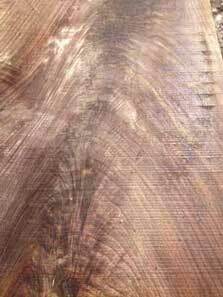 The goal is to dry slowly and evenly to prevent stress cracks and twisting but as with any large thick piece of wood, some cupping and movement as it dries is to be expected. 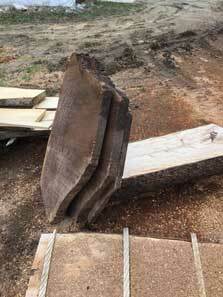 The slabs can usually be surfaced with our 24" helical-head planner or 36" wide belt sander. Larger slabs can be surfaced using a planner attachment on our Lucas slabbing mill. If you have your own slabs that need surfacing, give us a call to discuss your options. HICKORY&OAK-Purveyors of Fine American Hardwoods.